Mars is the fourth major planet from the Sun and has an equatorial diameter of about 4,222 miles (6,794 km). 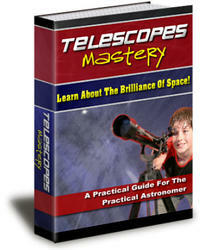 Throughout human history, the Red Planet has been at the center of astronomical interest. The ancient Babylonians followed the motions of this wandering red light across the night sky and named it after Nergal, their god of war. In time, the Romans, also honoring their own god of war, gave the planet its present name. The presence of an atmosphere, polar caps, and changing patterns of light and dark on the surface caused many pre-space age astronomers and scientists to consider Mars an "Earth-like planet"—the possible abode of extraterrestrial life. In fact, this unsupported but very popular belief was so widespread before the space age that when actor Orson Welles broadcast his The War of the Worlds radio drama in 1938, enough people believed the radio report of invading Martians so as to create a near panic in some areas of the United States. The flying saucer, or unidentified flying object (UFO), phenomenon that started shortly after World War II is another manifestation of how deeply ingrained that the popular notion of extraterrestrial visitors coming to Earth is in modern human society. (UFO phenomena are discussed in chapter 11.) Space technology has allowed scientists to put to rest some of the most imaginative visions of intelligent life on Mars. Starting in 1964 with the successful flyby of NASA's Mariner 4 spacecraft, a parade of sophisticated robot spacecraft—flybys, orbiters, and landers—have shattered all prevailing romantic myths of an ancient race of intelligent Martians struggling to bring water to the more productive regions of a dying world. Mariner 4 flew by Mars on July 14, 1965, and returned images of the planet's surface. The closest encounter distance for this mission was 6,120 miles (9,846 km) from the Martian surface. Mariner 6 passed within 2,132 miles (3,431 km) of the Martian surface on July 31, 1969. The spacecraft's instruments took images of the planet's surface and measured ultraviolet and infrared emissions of the Martian atmosphere. 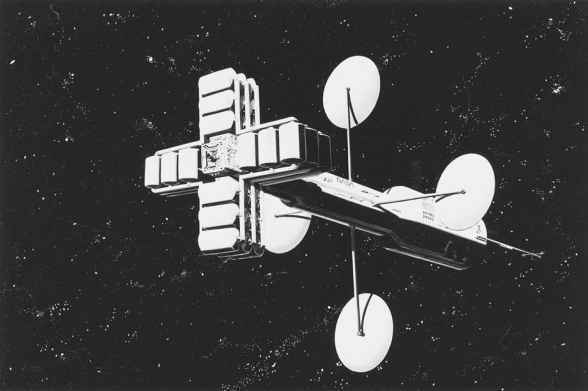 The Mariner 7 spacecraft was identical to the Mariner 6 spacecraft. Mariner 7 passed within 2,130 miles (3,430 km) of Mars on August 5, 1969, and acquired images of the planet's surface. Emissions of the Martian atmosphere also were measured. Mariner 9 arrived at and orbited Mars on November 14, 1971. This spacecraft gathered data on the atmospheric composition, density, pressure, and temperature of the Martian atmosphere as well as performing studies of the Martian surface. After depleting its supply of attitude-control gas, the spacecraft was turned off on October27, 1972. Consequently, spacecraft-derived data began to show that the Red Planet is actually a "halfway" world: Part of the Martian surface is ancient, like the surfaces of the Moon and Mercury, while part is more evolved and Earthlike. But the question of whether life emerged on Mars in ancient times, when water possibly flowed on its surface, remained tantalizingly unresolved. To help answer that question, NASA developed the Viking Project—at the time, the most advanced and sophisticated combination of lander and orbiter robot spacecraft ever developed. In August and September 1975, two Viking spacecraft were launched on a mission to help answer the question: Is there life on Mars? Each Viking spacecraft consisted of an orbiter and a lander. While scientists did not expect these spacecraft to discover Martian cities bustling with intelligent life, the exobiology experiments on the lander were designed to find evidence of primitive life-forms, past or present. (How spacecraft, such as the Viking 1 and 2 landers, search for alien life is discussed in chapter 3.) Unfortunately, the results sent back by the two robot landers proved teas-ingly inconclusive. The Viking Project was the first mission to soft-land a robot spacecraft successfully on another planet (excluding Earth's Moon.) All four Viking spacecraft (two orbiters and two landers) exceeded by considerable margins their design goal lifetime of 90 days. 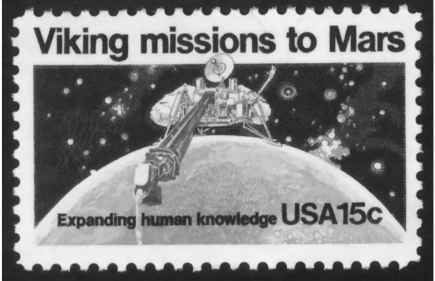 The spacecraft were launched in 1975 and began to operate around or on the Red Planet in 1976. When the Viking 1 lander touched down on Chryse Planitia (the Plains of Gold) on July 20, 1976, it found a bleak landscape. 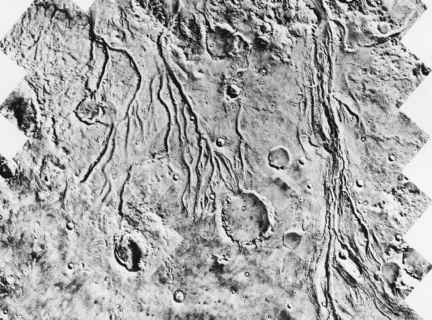 Many ancient channels that could have once contained flowing surface water characterize this region of Mars. Several weeks later, its twin, the Viking 2 lander, set down on Utopia Planitia (the Plains of Utopia) and discovered a more gentle, rolling landscape. One by one, these robot explorers finished their highly successful visits to Mars. The Viking 2 orbiter spacecraft ceased operation in July 1978; the Viking 2 lander fell silent in April 1980; the Viking 1 orbiter managed at least partial operation until August 1980; the Viking 1 lander spacecraft made its final transmission on November 11, 1982. NASA officially ended the Viking Project's mission to Mars on May 21, 1983. As a result of these interplanetary missions, scientists now know that Martian weather changes very little. For example, the highest atmosphere temperature recorded by either Viking lander was -5.8°F (-21°C) midsummer at the Viking 1 site, while the lowest recorded temperature was -191°F (-124°C) at the more northerly Viking2 site during winter. in valleys. There is also evidence that Mars had a much denser atmosphere in the past—one capable of permitting liquid water to flow on the planet's surface. Physical features resembling riverbeds, canyons and gorges, shorelines, and even islands hint that large rivers and maybe even small seas once existed on the Red Planet. As discussed in chapter 4, the current NASA strategy for exploring the Red Planet for signs of life—extinct or still existent in some sheltered subsurface biological niche—centers around the idea of "following the water."